A fund manager who profited during the U.S. financial crisis a decade ago is one of a growing number of short sellers betting that the share prices of the largest banks in Canada will fall. Among the short sellers is Steve Eisman, a portfolio manager at Neuberger Berman who gained fame from The Big Short, a book about him and other short sellers who collected massive profits from the collapse of the U.S. sub-prime mortgage market. Eisman took short-sale positions last year in the stocks of multiple Canadian banks that he declined to identify. Other investors see the same trading opportunity. New York-based S3 Partners reports that short-sale positions against Canadian banks are now worth US$12.3 billion, up 19 percent since the start of the year. Short sellers have targeted TD Bank of Toronto more than any other major Canadian bank. Short positions against TD Bank shares total $3 billion, up 17 percent so far this year. Short positions against the shares of Toronto-based CIBC have increased 26 percent this year to $2.3 billion while bets against Bank of Montreal have jumped 37 percent to $1.3 billion, according to S3 Partners. But Eisman said he doesn’t expect Canada to experience a financial crisis like the one that enveloped the U.S. a decade ago. 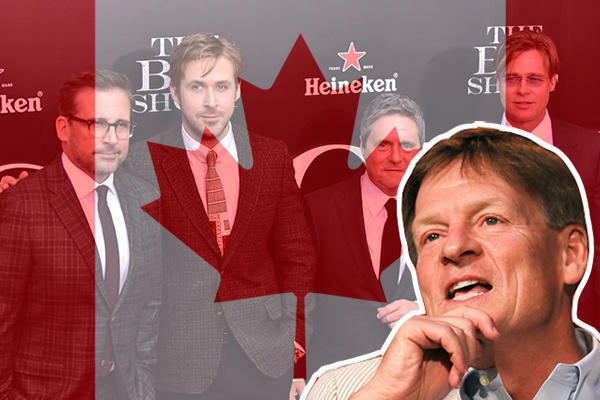 “This is not ‘The Big Short: Canada’ – I’m not calling for a housing collapse,” he told the Financial Times. Weakness in the Canadian property market is a major cause of the increased short selling, according to Ihor Dusaniwsky, managing director of predictive analytics at S3 Partners. New-home prices in Canada fell year-over-year in January for the first time since 2009, pushed lower by more stringent regulations on mortgage lending, new taxes on foreign buyers of Canadian homes and a faltering national economy. In the last several years, Canadian property prices have risen at a faster pace than Canadian income, due to a lack of discipline in loan underwriting and low interest rates, among other factors.